This would eventually “lead to government policy that is more focused, not just on the bottom line, but on all those things that make life worthwhile” (1). The consultation document, published in July 2011 and written as part of the National Wellbeing Project (NWP), explains that there is a growing demand for wider measures of progress, or a more complete picture of “how society is doing.” The stated aims of the national debate included the delivery of credible measures of subjective wellbeing and of wider national wellbeing to meet policy and public needs. The first results of the £8 million, 4 year project are expected in July 2012. This agenda is of growing academic and political interest, cutting across the political spectrum and emerging within the context of a UK population living through widespread and significant financial austerity cuts to public spending. The current political discourses speak of stagnant growth and financial austerity lying before us, of a paradigmatic economic shift to follow years of boom, a shift that invites us to recalibrate how we evaluate what is important in our lives. Inequality and austerity are contemporary buzzwords, and the reorganisation of society and economy are among the stated goals of government. There are a number of key institutional links between academy and government within the wellbeing agenda. Informing the debates that will conceptualise the index is academic research drawn from wellbeing science (aka positive psychology), a discipline that seeks to advance the understanding of human strengths by measuring, classifying, and increasing positive emotion and positive traits. The ONS Measuring National Wellbeing Advisory Forum includes a number of champions for wellbeing science and positive psychology. Among the leading proponents, and often cited in the literature, is the Wellbeing Programme Director at the London School of Economics (LSE) Centre for Economic Performance, Lord Richard Layard, who has called for the social sciences to help answer the question “what is progress, and how should we measure the wellbeing of a population?” (2). Informally known as the ‘Happiness Tsar,’ Layard advised the 1997-2010 Labour government on matters related to wellbeing, including a significant contribution toward the creation of the Improving Access to Psychological Therapies programme (3), and his input remains central under the current administration. The wellbeing agenda is significant to our understanding of what counts as knowledge, how truth is produced and institutionalised, how we constitute our subjectivities and how the power-knowledge complex functions within society. Within the context of this growing agenda around ‘wellbeing,’ this essay will discuss contemporary formulations of the knowledges and expertise informing this movement, as part of a scientific endeavour that is culturally and politically significant within neo-liberal democracy. It will question how the measurement of wellbeing has been adopted as a resource for developing government policy, and how this is linked to neo-liberal responsibilisation agendas? As a theoretical framework, Foulcauldian ideas help in the unpacking of the issues around the science of wellbeing and its political and ideological implications. For example, Nikolas Rose (4) articulates a Foucauldian critique of the wellbeing discourse when arguing that for the last 150 years, wellbeing and happiness have increasingly been constructed as dependent upon “the production and utilisation of the mental capacities and propensities of individual citizens” (5). In its attempts to make us knowable, psychology, he argues, has played a significant role in the individualising and objectifying of ‘subjects,’ with the result that we increasingly look inwards for the solutions in the search for our own identities. Psy-expertise has contributed to the constructing of ‘governable subjects’ and enabled a form of contemporary political power that has become compatible with the principles of liberalism and democracy. A genealogy of subjectivity over the past couple of centuries reveals people making themselves the subjects and objects of certain regimes of truth, playing a constitutive role in shaping the ways in which we think and act upon ourselves. These forms of administration and regulation implicit within the psy-sciences can be seen to have fabricated subjects in symbiosis with a culture of liberal freedom. This has acquired a particular significance within contemporary western forms of life. The psy-sciences now have a modern incarnation, the science of wellbeing (a.k.a. positive psychology), a human science celebrating values of autonomy and self-realisation that are essentially psychological in form and structure (6). Within its tenets, it becomes the task of each individual to render his or her life meaningful as if it were the outcome of individual choices within an autobiographical account of self-realisation. Forms of government with ‘liberal’ governmental rationalities have legitimated themselves under the rubric of some concept of freedom. The justification for this idea, that the subjects governed are subjects who possess a natural right to be free, is central to the attempts to shape conduct. Our ideas of freedom are understood according to our cultural and historical specificity. They provide the horizon for our concept of what constitutes our freedom. The concepts of self-filfilment, of autonomy, each has become familiar to us within the cultural and political discourses of recent decades and now set the parameters for the ways we now characterise freedom. Freedom, our liberty is an enormously powerful political concept. And if there exist new horizons in which to view it, the question is therefore begged, where do we set such a new horizon? How do we redefine freedom beyond our current social and political milieus? This is a penetrating question. In analysing the psy-sciences and their power, in unveiling the unveiled, in speaking the so far unspoken a la Foucault, in describing their genealogy and therefore their historical contingency and contestability can we reveal other possibilities, other forms of freedom that are not based upon westernised notions of the self and its fulfillment. Can we, need we, create a new ethic around the concept of freedom beyond this historical construction? The form of bio-power that is born of the wellbeing sciences brings life and its mechanisms into “the realm of explicit calculations and knowledge-power, an agent of the transformation of human life” (7). Truth regimes and bio-power structure experience and influence the possibilities for individual and collective resistance. Bio-power has to qualify, measure, appraise and hierarchise, effecting distributions around a norm. Normative rationality eludes none. Knowledge and power interact in a fluid relation between scientific discourse on one hand, and institutions on the other (eg. prisons, schools, hospitals, military, business). The procedures (the joinings of knowledge and power) form technologies around the objectification of the body, the ‘disciplinary technology’ that Foucault brilliantly analyses in Discipline and Punish, that produces “a docile body that may be subjected, used, transformed and improved (8)” Such disciplinary control is linked to the rise of capitalism, the former the pre-condition for the latter. Capitalism was built (logically and temporally) upon the growth of disciplinary mechanisms of knowledge and power. However, for Foucault, the growth of capitalism is not the study. Foucault’s concern is of the subject and of power, and the panopticon in which we are all caught. The panopticon offers a logic of both efficiency and normalisation. We are both subject by control or dependence, or tied to our own identity by conscience or self-knowledge. These technologies of rationalisation play a key role in the creation, classification and control of anomalies in the social body. This mentality of government is an attempt to manage the conduct of human individuals, to shape conduct through specific means to particular ends. The psychological is frequently the form of expertise, the mode of practice pare excellence, of the conduct of conduct at the micro-level (the schoolchild in the classroom, the mother and her maternal behaviour in the home, the soldier in the army, the person working on their ‘self’). Analysing governmentality allows us to ask according to what rationales we are governed? In relation to what ends are we governed? How and by which techniques are we governed? What is the scope of government? What are the limits of government? Who are the agents of governing, what entities do the governing? All these questions are now essential in understanding a wellbeing agenda that is informed by the nascent sciences of happiness. The explicit aim of positive psychology and the sciences of wellbeing was to build on the science-neutral legacy of humanistic psychology. “The fundamental difference between humanistic psychology and positive psychology is in their relationship to research, epistemology, and methodology,” explains Tal Ben-Shahar (9). “Humanistic psychology gave birth to the self-help movement, and lots of self-help books have come out with concepts grounded in emotion and intuition. Positive psychology combines those things with reason and research.” The emotion of happiness is giving way to the reason of happiness. Abraham Maslow, the first person to coin the term positive psychology, wrote about the potential of what a human life could become in Toward a Psychology of Being (10). Following psychoanalysis and behaviourism, the humanistic psychology movement he was a part of has been described as the discipline’s third force. Though critical of the scientific method as a means to unravel human complexity, the progressive principles of humanistic psychology and the complementing self-help genre that have been dominant since the 1970’s placed the emphasis on the growth of the ‘authentic’ self. 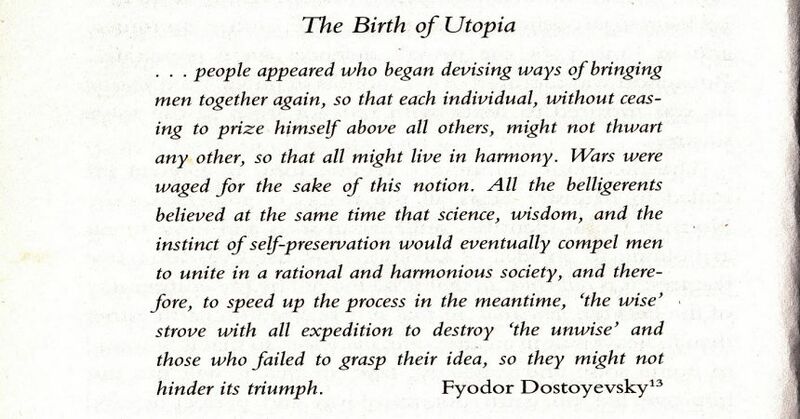 Now we arrive at its modern-day incarnation, armed with its desire to marry human flourishing with scientific rigour. On this question, Martin Seligman and Mihalyi Csikszentmihalyi (11), generally considered to be the fathers of the positive psychology discipline, proposed a new psychology that “can articulate a vision of the good life that is empirically sound while being understandable and attractive” to both social scientists and public alike. They describe themselves thus: “We are, unblushingly, scientists first. The work we seek to support and encourage must be nothing less than replicable, cumulative and objective” (12). It was Michel Foucault’s belief (13) that since the 1960’s a seeking of self-truth within individuals developed. From this change in emphasis in the subject, we have today arrived at the intersection of the rapidly-growing science of wellbeing and the informing of policy with research drawn from advocates of the positive psychology and science of wellbeing movements. The work of the psy-disciplines over last 3 decades and prior, is embodied within the current wellbeing research that is playing a contributory role in constructing us as governable subjects. The political analysis addressed here is not merely a ‘state-centred’ approach in which the psy-disciplines and social science act as a servant of power to governing bodies, but rather in how these forms of scientific knowledge actively shape and transform power. The target here is not scientific truth in itself but the claims to scientificity of the objects of wellbeing and happiness which take as natural something that they have in fact shaped, in ways and for reasons that are often largely exterior to the object itself. According to Foucault (14), the political economy of truth (here, the ’truth of happiness’) is characterised by 5 important traits, namely; it revolves around a scientific discourse and its institutions; it is subjected to continual economic and political incitement; it is the object of immense diffusion and consumption as it circulates the social body; it is produced and disseminated by a few dominant apparatuses (eg. the media, academia); and it is the centre of an ideological social and political debate. The discourses around wellbeing are being played out in a number of social settings, in education, healthcare, the workplace, in the media, the family. Its discoveries are all around us. Rose describes such phenomena as veridical discourses, forms of positive knowledge or truth expertise that have been essential to the rationalities of government. Analyses of government reveal particular rationalities of politics, of how governing is conducted in time and place, underpinning, as in the case of the National Wellbeing Project, the strategic texts which analyse ‘problems’ and unveil ‘solutions.’ A lattice of commonsense assumptions then permeates the training and education of professionals or public, and filters through cultural forms, such as the self-help genre or advice columns. Each society produces its own truths discursively. Truth is therefore linked in a circular relation with systems of power which produce and sustain it. Foucault links knowledge (i.e. truth) with power. It is in keeping with the historical attempts of the psy-sciences to emulate the morally neutral natural sciences, that positive psychology now presents itself as a science rather than a moral philosophy. One of its founding founders, Martin Seligman, insists that it is a descriptive enterprise, and doesn’t seek a moral position on the constitution of the good life. Yet, Seligman, in his book Authentic Happiness is categorical about what positive psychology views as the 24 essential ‘character strengths’ including courage, temperance, wisdom and self-control (15), and the discipline seeks to ‘prove’ which interventions lead to eudaimonic states through the use of questionnaires and life satisfaction surveys. This quest is an attempt to go beyond a liberal defence of negative liberty, and attempts instead to forward a formulation of positive liberty, a promotion of the eudaimonic virtues of self-knowledge and self-mastery. Politically, we have been witness to a number of examples of such intervention over the course of the previous two governments. Echoing the precepts of his positive psychology counterparts, Lord Layard asks us to understand that “the focus has to be on mastering ourselves and our human relationships” (16). The implications are clear. Along with Layard, there are a number of interesting protagonists within the wellbeing agenda who re-appear in policy, thinktank and media circles. Among them is Geoff Mulgan, Tony Blair’s former head of policy who set up the New Labour think-tank Demos, and published the first influential paper on wellbeing as policy and science called The Good Life (17). Mulgan has become a significant presence in the move to incorporate wellbeing into government policy, latterly (along with Richard Layard), on behalf of the Action for Happiness initiative (launched in 2011) which describes itself as a movement for positive social change (18). Each has embraced the new field of positive psychology from the outset and exerted their considerable academic and political influence to disseminate its scientific output. Examples of the work Layard and Mulgan have helped to facilitate include initiatives which seek to develop resilience (most notably with school-children and soldiers) through the teaching of the Cognitive Behavioural Therapy (CBT) techniques of rational self-examination and self-control, and also the backing of a scheme that is taking positive psychology lessons into secondary schools across the UK. Their hope is that positive psychology could supplement a New Labour initiative called SEAL (Social and Emotional Aspects of Learning), which also again includes some of the techniques of CBT within its outputs. Within these initiatives there are numerous problems. As with much of psy-science, wellbeing science presumes a free-willed, autonomous, self-constituting subject. Their production of truths about the subject of happiness and wellbeing have been gleaned from the study of what are essentially ideologically produced characteristics. Positive psychology isolates anomalies, then normalises them through corrective or therapeutic procedures. The end of good government is the correct disposition of things, even when these things have to be invented so as to be governed. The power of the state to produce an increasingly totalising web of control is intertwined with and dependent on its ability to produce a more precise individual. The history of psychology includes a story of a discipline enviously impressed by the vast new vistas of knowledge opened up by the natural sciences. Based upon mathematical techniques, and eradicating much of the error, superstition and dogmatism within knowledges, natural science inspired a replication with the psy-sciences as their numbers questioned why the same methods could not bestow the human sciences with the establishment of similar incontrovertible laws in human affairs. Embracing the methods of natural science, an objective structure order could be communicated to social spheres as well as the natural. This meant that uniformities could be observed, hypotheses formulated, tested by experiment, laws could be derived, until a unified, harmonious system, connected by irrefutable, precise links could be secured. A rational re-organisation of society would cut short our intellectual and spiritual confusion, the end of prejudice, superstition, dogmatism and suffering within the human story would be complete. But happiness is not something waiting to be discovered by modern science. For this would suggest that the object of science exists before science itself. Rather, the sciences are producing their “objects.” Happiness did not wait, in immobile identity, for the advent of positive psychology to carry it from the darkness of superstition to the light of truth. The categories of modern wellbeing science were not lying in a state of nature ready to be picked up by the perceptive observer: They were produced by that ‘science’ in its very act of formation. According to Schecter “governments do more than establish their authority and protect the rights of their citizens. Governments are regimes in the senses that they make people work in ways that reward certain values at the expense of others” (19). This reveals a profound misunderstanding of the how liberal democracy functions. Its ideal of freedom implores people to produce and re-produce their lives in a manner that is embossed with the objective ‘good’ that is freedom and the science that has been sent to unearth it. In this instance, we are equating happiness with freedom. Lord Layard again: “it is an empirical fact that freedom is one of the basic conditions for happiness” (20). But this knowledge can be understood as a thing of this world, not the thing of this world. Any critique of wellness seems to find itself in a strange position. After all, who can resist the call to happiness, in all its commonsense irrefutability and desirability? Who can resist the ‘goodness’ inherent in its goals? Rorty (21), calls this a ‘conversation-stopper,’ as it can easily appear to be an unquestioned good for government to maximise our happiness, and this view can only gather in pace and persuasion with the contemporary development of a ‘science’ of wellbeing that further removes the object in question from questioning. The ineluctability and tautology of happiness-as-a-goal leaves us in thrall to the obviousness of its charms as a personal and political goal. In the production of truth claims as to the desirability of happiness as a goal, it is possible to create a set of practices, apparatuses and norms that are taken to be authoritative and ‘true’ and which thereby exercise personal, political and moral authority over people, whilst simultaneously passing this agenda off as driven by notions of progress, autonomy and individuality (i.e. it is for our own ‘good’). These messages inhabit and infuse the social body. We are obliged to be better because autonomy lives there. Foucauldian thought analyses the language, describes the historicities, focuses on the knowledge-power complex and sketches the changing definitions of notions such as the mad, the ill, the criminal throughout the eminence of liberal democratic ideology. Within current wellbeing discourses this is invaluable as it probes commonsense notions of freedom and happiness. Bio-power as it is exercised in neo-liberal democracies works to broaden the spheres of power and influence to incorporate mental and physical welfare. Oppression extends beyond production to all aspects of the individual’s existence, producing a conformism via self-surveillance that, whether the ideologically-laden quest to measure wellbeing is enacted prisons, schools, factories or the home, there exists a subtle yet palpable widening of power in modern, disciplinary formations. The existence of “bio-power can be resisted through bio-politics” (22), achieved by countering the subjectivities afforded to us in modern life. The bio-political is a struggle to regain territory lost. Its deconstruction allows us to suspend our judgement, not to reject or negate the concept of wellbeing altogether. Instead it offers the opportunity to sensitise ourselves to contexts in which they can be applied oppressively. To contrary of its critics, these methods are politically committed, they can be emancipatory, empowering and ethical. According to its processes, the suggestion of a universal, identifiable, measurable and concrete subject is futile. Identities are not merely the private property of individuals, they can be viewed as social constructions that can be promoted in line with the dominant social order. The liberal humanist ideology that stakes personal happiness and fulfilment above and beyond social and political values are an example of such a social order. Foucault finds traditional history problematic because it bleaches out the specificity of events as it smooths over rough edges and removes disruptions and discontinuities which characterize historical events. Moreover, it also injects an overall theme to history which the circumstantial aspect of events cannot support. Foucault rejects the proposal of a grand evolution that is homogenous and continuous. Wary of such narratives, Foucault suggests a genealogical approach, a type of historical study which rejects inserting specific events into grand explanatory schemes or macro-conceptual grids. Instead it preserves the singularity of events and in so doing gives voice to the silenced conflicts and twists and turns of the past. In this way, genealogy robs traditional history of its use of supra-historical constants. In short, it tries to get rid of any transcendental reference. Summing up his own reflections on the history of thought, Foucault writes, the essential task was to free the history of thought from its subjection to transcendence stating that “my aim was to analyze this history, in the discontinuity that no teleology would reduce in advance; to map it in a dispersion that no pre-established horizon would embrace; to allow it to be deployed in an anonymity on which no transcendental constitution would impose the form of the subject; to open it up to a temporality that would not promise the return of any dawn” (22). With regard to the wellbeing agenda, the history is informative. The relationship between the discourses of wellbeing and the subjectivities created is one of the story of the self. The idea of a thwarted self is a strong cultural construction, forwarding the possibility that we can liberate ourselves by unveiling repressed truths. Such assertions are red rags to the bull of Foucauldian thought. Foucauldian thinking rejects the idea that within us there reside deep truths, a ‘wholeness’ that awaits flourishing. This is despite the fact that this idea has been the starting point for an enormous swathes of psychological research, contemporarily evidenced amongst wellbeing scientists. The language of the wellbeing agenda and the evidence of the wellbeing sciences informing it, has implications for the way we relate to ourselves and each other, forming what Foucault calls a ‘technology of the self’ referring to truth games or ways of knowing that allow people “to construct their own bodies and souls, thoughts, conduct, and way of being, so as to transform themselves in order to attain a certain state of happiness, purity, wisdom, or perfection, or immortality” (23). Culturally, it is a common assumption that in examining subjective experiences, we can discover the essence of our very being. Of course, the changes in thought are not necessarily due to thought itself, the causes may be the social forces that affect the behaviour of individuals. Much of the power behind the science of wellbeing and its cognitive authorities is in their presentation of themselves as grounded in a benign neutrality of disinterested evidence. This ‘evidence,’ the ‘commonsense of happiness’ closes down other possible discourses. Within the wellbeing agenda, there exists a political objective to do with the salience of both its language and its ethics. A genealogy of this term begins with a problem or a question in the present and pursues the contingent historical circumstances within which this problem has emerged. That problem here is the problem of wellbeing. How can we make the question of wellbeing amenable to analysis? How can the question be posed given that it shares common ground of the politics of both the Left and the Right within our political spheres? It seems unimaginable to move beyond the call for autonomy, for choice, for happiness. The genealogical enterprise allows us to think politically outside that space, it creates a constant dynamic engagement between thought and its object. An ethos of enquiry that has the patience to accumulate small details, attend to small differences rather than discovering sameness or general truth, so that attention is shifted to the profusion and diversity of entangled events. The most productive forms of analysis undertaken under the sign of governmentality partake of this ethos of empirical enquiry showing how, in specific fields such as the psy-scientific versions of wellbeing research, certain relations of thinking and doing are brought into existence, how certain practices are constructed, and how certain technologies are assembled together. This demands a meticulous attention the details of apparently small things, like the invention of a statistical index such as the national wellbeing index or any techniques for gathering numbers and accumulating them in the form of a census to be put too use for calculation and prediction. How is this field being brought into existence? All these techniques have to be invented, assembled from things already existing in the field, they are not invented from nowhere. It is a complex task to dispassionately understand ourselves and how we are understood by those who administer us, in assessing which norms and values we are we living by, to see our lives from outside of the discourses within which we live. There are inevitably presuppositions built into our structural practices, the culmination of a series of historical shifts and diversions. But it is in attempting to discern the genealogy of wellbeing and the subjectivities it creates that that we may be able to illuminate the aspects of this narrative that we want to keep and those which we may choose to resist. Within the psy-disciplines, including its modern manifestation, positive psychology, current ideas of the self depict a movement towards understanding ourselves as subjects and objects of a particular knowledge that has played a constitutive role in moulding the ways in which we conduct ourselves, of how we think of and act upon ourselves. In the phases of the discourse of happiness over the last few decades, there is reflected a mode of production of wellbeing to the exclusion of other possible productions. And this history, this paper included, will itself be selective and contestable, just one version among many, often overlapping, accounts. The discursive formation of happiness is not a linear passage from ignorance to illumination regarding what it is or how it is best achieved. Happiness has been described as a human right, a teleological imperative, a constituent of the good life, a commonsense desire and now a scientifically measurable target, yet such conceptions can be viewed not as mere discoveries, but rather as historical constructions of meaning. Each is reflective of a different mode of understanding to the exclusion of others. The entrenching of one set of truths about the world, one set of descriptions of those realities acts to close off other possible productions of truth. The project of analysing the discourses around wellbeing is to question quite specific claims to cognitive authority, those made by psychologists and social scientists in general. The mundane is psychologised and made part of a subjective order for which we learn skills to cope, seek confession to impart, seek to categorise our relationships and seek opportunities for personal growth. In the detailed techniques for self-government we render ourselves transformable. The ubiquity of the goal of happiness is endemic and that is part of the cultural and political appeal toward this ‘conversation stopper’. Happiness can actually be viewed as a flight from something, a philosophical-existential search, or a dissatisfaction with oneself or one’s world. The quest may be a sign of disquiet. A longing for positive affect may be a symptom of a lack of meaning, or at least a lack of a belief in meaning. To imagine for a moment the achievement of a universal happiness would be bizarre, requiring as it would the means to lose touch with reality in a denial of what it is to be human. In the words of Isaiah Berlin, a thinker synonymous with the idea of liberty, “man is incapable of self-completion and therefore never wholly predictable; fallible, a complex combination of opposites, some reconcilable, others incapable of being resolved or harmonised; unable to cease from his search for truth, happiness, novelty, freedom, but with no guarantee…. of being able to attain them” (24). If there is universality, it may reside in a human need to feel we are on stages towards happiness. Certainly, not seeking it seems disempowering or too overly-modest a goal to Western cultures. Yet its pursuit is a moral distraction, and of an arguably trivial value, and as an aim it is ethically questionable. It is one thing to see obstacles within one person’s life being removed, but it is something else entirely to centre the policies of government around its societal achievement. The happiness focus is a diversion that adds a technocratic, bureaucratic level to a time and space in which political resources could be filled with other more objective measures. The choice of whether or not to make happiness the place of government to build policy around it is vital. Empirically, there is only unreliable evidence that the human condition can be systematically bettered. The science is not rigorous. The history is unforgiving. The imperative to be happy denies the conditions that are not of our making. We are born where we were born, speaking the language we speak, to the parents who parented us and enculturated by the culture that surrounds us. There is much that cannot be changed about our deeply contextualised lives. And yet. Resistance is possible, counter discourses can alter the status quo in important ways. To Western-individualism, to political ideologists and to our economic systems, such a Foucauldian-style analysis is an unpalatable thought that generates a host of questions regarding agency, morality, autonomy, progress, subjectivity and normativity to name but a few. Foucault is noted for his reticence in becoming advocate. For him description can act as critique. However, occasionally he does lift himself to evaluation: “Maybe the target nowadays is not to discover what we are, but to refuse what we are…. The political, ethical, social, philosophical problem of our days is not to try to liberate the individual from the state, and from the state’s institutions, but to liberate us both from the state and the type of individualisation which is linked to the state” (25). 2. Layard, R. Measuring Subjective Wellbeing, Science, Volume 327, pp.534 (2010a). 4. Rose, N. Governing The Soul: The Shaping of the Private Self (London: Routledge, 1989). 5. Rose, N. Governing The Soul: The Shaping of the Private Self, pp.130 (London: Routledge, 1989). 6. Rose, N. Governing The Soul: The Shaping of the Private Self, pp.viii (London: Routledge, 1989). 7. Rabinow, P. (ed.) ‘Truth & Power’ in The Foucault Reader, pp.11 (Penguin, 1991). 8. Foucault, M. Discipline and Punish (Penguin, 1975). 10. Maslow, A. Toward a Psychology of Being (Wiley and Sons, 1962). 11. Seligman, M. & Csikszentmihalyi, M. Positive Psychology: An Introduction, American Psychologist 55: pp.5 (2000). 12. Seligman, M. & Csikszentmihalyi, M. Positive Psychology: An Introduction, American Psychologist 56: pp.89-90 (2001). 13. Foucault, M. ‘Critical Theory/Intellectual Theory’ Interview with Gerard Raulet, in L. Kritzman (ed.) Michel Foucault: Politics, Philosophy, Culture: Interviews and other writings 1977-84, pp. 39 (London, Routledge, 1988c). 14. Rabinow, P. (ed.) ‘Truth & Power’ in The Foucault Reader, pp.11 (Penguin, 1991). 16. Layard, R. Wellbeing Conference, pp.4, HM Treasury, 25 November 2010.http://cep.lse.ac.uk/textonly/_new/staff/layard/pdf/Layard25_11_10.pdf. 19. Schecter, D. A History of the Left pp.186 (Continuum Books, 2007). 20. Layard, R. Wellbeing Conference, pp.2, HM Treasury, 25 November 2010.http://cep.lse.ac.uk/textonly/_new/staff/layard/pdf/Layard25_11_10.pdf. 21. Rorty, R. Religion in the Public Square: A Reconsideration Journal of Religious Ethics, 91, pp.141–149 (1993). 22. Schecter, D. A History of the Left pp.186 (Continuum Books, 2007). 23. Foucault, M. Discipline and Punish pp.187 (Penguin, 1975). 24. Foucault, M. Technologies of the Self pp.18 (London: Tavistock, 1988). 25. Berlin, I. Political Ideas in the Romantic Age: Their Rise and Influence on Modern Thought, Introduction, Hardy, H. (Ed.) (Princeton University Press, 2006).